Chill in the air sends excitement with goose bumps on the arms and warmth in the heart. The first frost of October signals preparation of the smokehouse to receive the hickory wood for preservation of hams and shoulders. After all, what would holidays or for that matter any winter morning be without the smell of fresh bacon cooking. The thought of just cut tenderloin in hot homemade biscuits fosters love in a warm household. In the chilled morning air a large black iron kettle cracks and pops above the flickering fire as the fat is brought to a liquid state in preparation of lard. The cracklings remains after the fat is removed are just begging to be placed in hot cornbread and hush puppies that will quiet even the most disturbed temperament. Across the land the harvest is abundant as the above scene is played out many times with different types of food in anticipation of winter. This historically has been and continues to be the inheritance of a successful nation. An abundance of inexpensive food that has been processed over and over is now available as a replacement for a time when the family came together to bring in the harvest. The chill in the air was all about the stimulation of appetite that is part of us just being mammals in anticipation of a hard cold winter. Cold drives appetite. With the introduction of air condition and food designed by profit hungry food companies to stimulate appetite, every morning is a chilled October morning. This has been the condition of my house every since the first one I bought in the mid-seventies. There was always appetite pleasing food and a cool ac environment, even on the hottest August day, you could hang meat for chilling. For those of you who are regular readers, you know my discovery of being vitamin D deficient was stimulated by the finding there is a direct correlation between obesity and air conditioning in the US over the last fifty years. 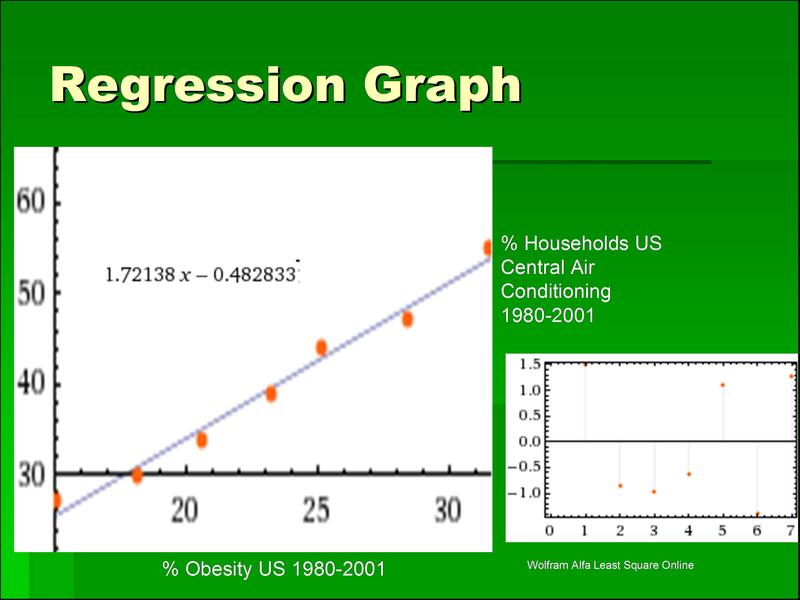 I had always thought the correlation was driven by fat people who were hot and wanted to be cool. As they became fatter they turned down the thermostat and installed more air condition for the comfort factor. I then thought as a nation we had spent more time inside and the reduced vitamin D was the cause of obesity as it was plainly implicated in diabetes and metabolic syndrome. However, it has been a “eureka” movement as I now believe air conditioning is directly responsible. More air condition with unlimited amounts of chilled air drives an unlimited appetite. Add to that processed food designed specifically to drive appetite after eating and you have an obese nation. Yet, as the waterapes that we appear to be ( http://tinyurl.com/nxznrq ), the ‘cold shock’ of cool water also some beneficial effects. Waterapes? Really – Failure in modern medicine is not in reasoning or a dependence on woo whether the woo is arrived at in an occidental or oriental pattern of thought or even incompetence as some have suggested. The issue is a failure in moral reasoning where abortion as population control disguised as women’s choice is no different than throwing grandma off the cliff as a matter of caretakers choice. Specialization is responsible as moral responsibility has been given to the heads of organization and the leaders have passed it back to professionals so that no one has responsibility. This sustaining of institutions without empathy for the individuals they serve is evil. When a population participates in genocide or eugenics to sustain itself, failure is the outcome. 2) The vitamin D levels are the highest of the year = a great time to store vitamin D for the dark months.